Texans fondly refer to all snowbirds, whether from Canada or the Northern U.S., as “Winter Texans” and all snowbirds, regardless of their origin, receive a warm Texan welcome. Southern Texas is a major snowbird destination offering a mild, subtropical climate --and it is generally more affordable than some other snowbird destinations in the United States. Destinations within the state include Houston and nearby Galveston, the Corpus Christi area and the more southerly region of South Padre Island, Brownsville, Harlingen and McAllen. Snowbirds are also attracted to historic and lovely San Antonio. While a large number of snowbirds head to Texas in RVs, there are also plenty of affordable accommodations in the Rio Grande valley area, as well as in the Corpus Christi area and Galveston, near Houston. Getting to Texas by air is relatively simple. There are direct and connecting flights from Canada to Houston and San Antonio, as well as connecting flights to the Brownsville/South Padre Island airport and Corpus Christi International Airport. And of course, snowbirds can easily drive to Texas from many parts of Canada if they choose to head down south by car or RV. The region offers great beaches on the Gulf of Mexico and lots to see and do during the winter including festivals, golf, bird watching, watersports, beachcombing, rodeo, flea markets and historic and scenic attractions. Oh, and did we mention the Tex Mex cuisine? Houston is a major metropolis, the largest city in Texas, with many attractions including the NASA Space Center, the Museum District, the Houston Zoo, the Historic District and the Theatre District. Although it’s not one of the biggest snowbird destination, it does get its fair share, with many snowbirds choosing to stay in nearby Galveston on the Gulf of Mexico, an easy drive from Houston that offers the best of both worlds. Houston enjoys a mild, subtropical winter climate. It is a port city that is best known as the capital of the oil industry in the U.S. The city is also a port of call for cruise ships. A great sports city, visitors can see football, baseball, basketball, soccer and the Houston Grand Prix, depending on the time of year. Galveston is a barrier island in the Gulf of Mexico, about an hour’s drive from Houston with lots of activities and things to see and do. The island offers miles of sandy beaches and a wide variety of accommodations – everything from deluxe hotels to efficiency apartments and condos. Galveston is famous for its seafood restaurants and a historic downtown area featuring great shopping, art galleries and antique shops. A fabulous birding location, the area is on the migration path of many different species – and snowbirds can also enjoy boating, fishing, beach walks and golf. In addition, many “Winter Texans” take advantage of the cruise ships that are based in Galveston each winter. Located on the South Texas Gulf Coast, Corpus Christi has miles of beaches, tourist attractions, cultural activities, shopping and lots of dining options. The area has a warm, humid subtropical climate with very short, mild winters. Snowbirds will find affordable accommodations in the general area. Just to the east of Corpus Christi are Padre Island and Mustang Island, featuring national parks including the Padre Island National Seashore. The world’s largest ranch, King Ranch, is also near here. Fishing and wind sports are popular, and the city has both hockey and rugby teams. Home to the USS Lexington, visitors can take tours or visit the Texas State Aquarium. South Padre Island is a small coastal community not far from the Mexican border that offers a wide variety of year-round activities for snowbirds. Discover dolphins and sea turtles, miles of soft sandy beaches, great fishing and boating and all manner of watersports here. Affordable accommodations are plentiful and range from resort hotels, condos and beach houses, to efficiency units, motels and RV campsites. There’s plenty to keep snowbirds busy during the winter and a mild, subtropical climate has attracted snowbirds for many years now. The Brownsville area is a beacon for snowbirds every winter. 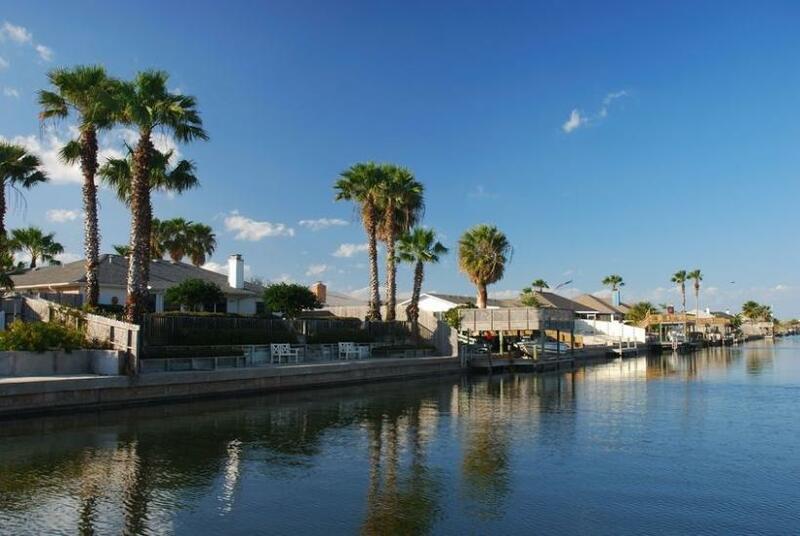 Brownsville offers a sub-tropical climate complete with palm trees and bougainvilleas at the southern tip of Texas. The area is perfect for exploring both natural and cultural activities, walking the fabulous Gulf beaches, and discovering the wildlife. Snowbirds can keep active playing golf, fishing, or hunting. The area has several new shopping centers and visitors can enjoy museums and galleries. McAllen is not far from both Brownsville and South Padre Island and is a winter home to thousands of snowbirds. This Rio Grande city is home to the wonderful birding centre, Quinta Mazatlan World Birding Centre, featuring hundreds of different birds and butterflies. You’ll also find the National Butterfly Centre and the Museum of South Texas history in nearby Edinburg. Snowbirds love the Tex Mex cuisine found in this border town and enjoy the nightlife at the 17th Street Entertainment District. San Antonio is a major historic city in south-central Texas with a rich colonial heritage and is within driving distance of many Gulf Coast destinations. Voted by Amazon.com as the #1 romantic city in the US, San Antonio is a wonderful place for snowbirds to visit or reside for the winter. The Alamo, an 18th-century Spanish mission preserved as a museum is a must-see. In the 18th century, Spanish priests created five Catholic missions in San Antonio. Today, the five missions are the largest concentration of Spanish colonial missions in North America. The area has been named a UNESCO World Heritage Site. Visitors love to stroll along the San Antonio River on the lengthy River Walk, a pedestrian promenade lined with cafes and shops.